Wood pellet heating! It’s clean-burning; it uses locally sourced, renewable, environmentally friendly fuel; it works using proven, familiar combustion principles; and by switching to wood pellets you’ll dramatically lower your fuel costs (expect to spend up to 40% less each year burning wood pellets than you’d pay to heat your house with oil). But when you think of wood pellet heating, you probably think small—warming a room by hauling in 40-pound plastic bags, tearing the bags open, and feeding pellets into a stove. You’re not picturing pellets providing whole-house heat, with “set the thermostat and you’re done” convenience. But, in fact, you can have it all with a wood pellet heating system—fuel-cost savings, thermostatically controlled central heat, and the knowledge that you’re burning a fuel that’s easy on the Earth. Having a thermostatically controlled system is not just a matter of convenience for you, it’s a wise financial move. Of course, there’s your annual fuel-cost savings. Also, should you ever decide to refinance or put your house on the market, buyers, banks and insurance and mortgage companies will find your state-of-the-art wood-pellet heating system impressive. To hold the pellets that will feed automatically into your new wood-pellet boiler, you can choose to install a storage bin which can hold enough wood pellets to keep your home heated for a month or more. 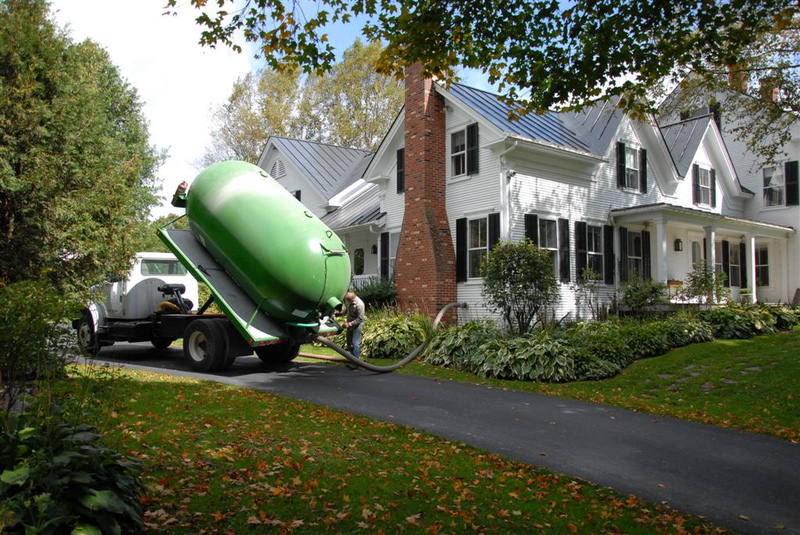 A local wood-pellet supplier will deliver the pellets by truck and a flexible pneumatic hose on the truck will supply the wood pellets through a 4-inch connection on the exterior of your house into the storage hopper. The system continually modulates itself for optimum performance based on the inconsistencies of pellet quality and your home’s hour-by-hour demand for heat. And that’s it! You have central, on-demand, thermostat-controlled, wood pellet heating without lifting a finger. All the maintenance is done through regular visits—as with an oil system. Wood-pellet heating has been successfully saving costs and the environment in Europe for over two decades and has begun to make inroads in North America over the past decade. Pellergy’s wood pellet heating systems are tested, proven, UL approved, EPA compliant, and qualify for special low-rate energy upgrade financing and state rebates. This emerging industry supports U.S. jobs in many fields: forest management, logging, equipment and pellet manufacturing, pellet retailing and delivery, and equipment installation and maintenance. If you wold like to find out more we can set you up with a certified installer for a free site visit and quote. Just drop us a line.